I've seen these large 1300 mugs many times with decals of ships etc on them. 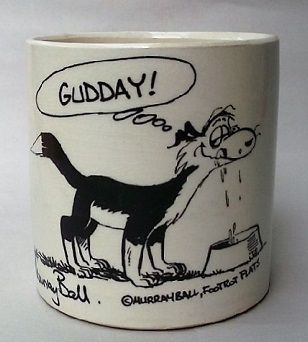 This one however has DENNIS handpainted on it. 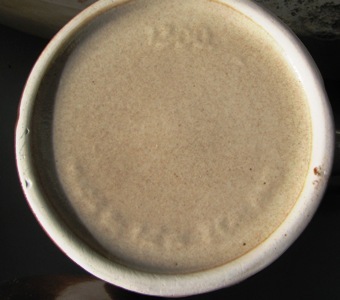 the outside however is a dull matt boring colour with bands of oxide that help a little. 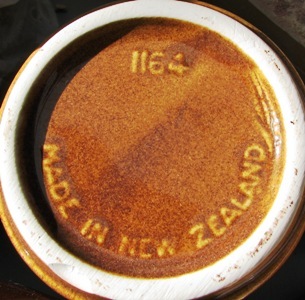 The 1164 mug - the glaze is a mottled warm brown, not sure if it's a honeyglaze that hasn't matured properly or not? I seems that every time I post a photo another older one drops off. Way back then I reduced photos to put them into the galleries so the main pics are small. I don't do this anymore as I found a way for the site to reduce them. I haven't come down to earth yet and may have missed some things that should have been addressed while away, so if you have something that you want me to see, please bump it and I will see it in the latest topics.